This unique Wavy Photo Mural is created using a series of 16 hardboard (Masonite) tiles. Each tile is 6" x 6" With 4 holes and small rings, these tiles are attached one to another. 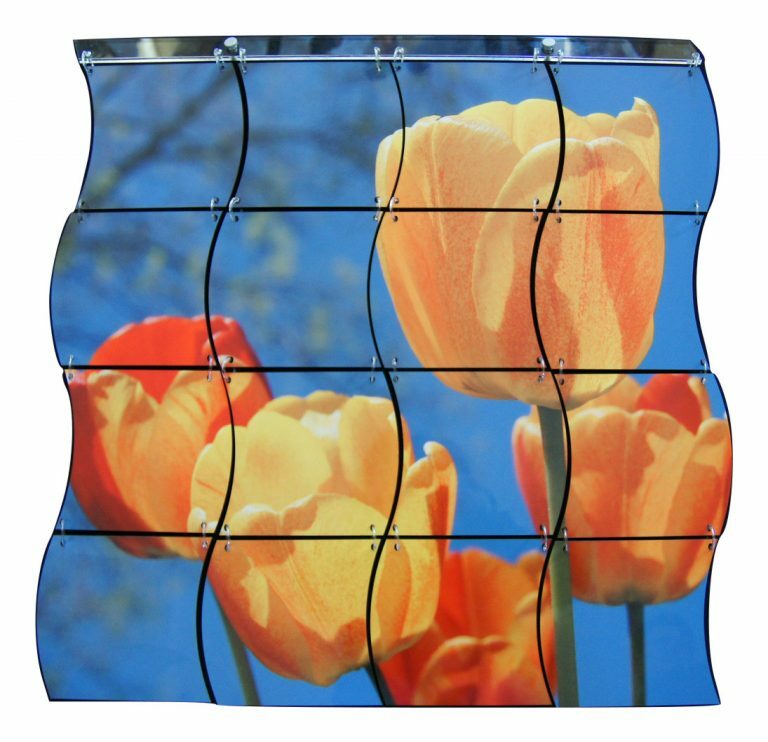 The total approximate size is 2' x 2' The resulting “sway” design and free hanging connections give a unique appearance allowing for slight movement. Theses beautiful photo murals are lightweight and easy to hang with the included hanging bar and offset screws.